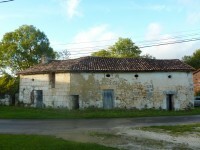 Large barn to renovate on 240m2 land. 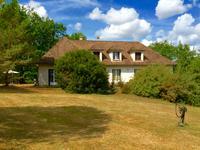 Ideal first but in a small countryside hamlet just 30 minutes from Angouleme. In need of . . .
Stone house of character to renovate. Attached barn and gardens. Located in a peaceful hamlet. Pretty stone house of character with attached barn to extend into. Lovely stone arched . . . Situated at the end of a quiet country lane in a quiet hamlet. This stunning property has . . . Entrance hall, wc, kitchen, lounge dining room with access to balcony. Two bedrooms and a . . .
Land for sale with a few established trees and great views. It has outline planning permission to build a home. Land with a CU in a peaceful hamlet walking distance from the village with a few amenities. Entrance hall and passageway leading off to all the rooms, attic space and basement. 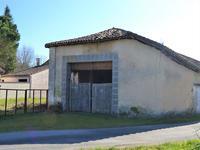 A . . .
Beautiful stone barn to renovate with beautiful volumes inside. 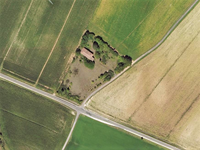 7357m² of land in a very . . . Totally habitable but would benefit from updating the kitchen and bathroom. Enclosed . . . This property, situated on the beautiful plateau of Argentine in the north of the Green . . . 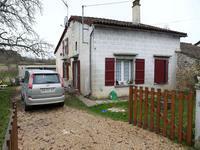 Good-sized could be 5 bedroomed house in the village of La Rochebeaucourt. The renovations . . .
New roof, so watertight and ready for the new owner to renovate this pretty stone cottage . . .
A truly stunning, restored, detached Charentaise stone farmhouse dating back to the . . .